The above statement is a description of Google Now, “one of the more ambitious evolutions of Google’s search software.” Described as an intelligent digital personal assistant, Google Now offers capabilities like voice commands, widespread integration, and personalized alerts. The product of massive user data aggregation, this feature, introduced in 2012, represents a growing trend toward personalization in search—and marketing in general. Now, advertisements can be customized for specific audiences with greater precision than ever before. For small businesses and corporations alike, taking advantage of user data can inform your content marketing strategy and help you stand out from your online competitors. 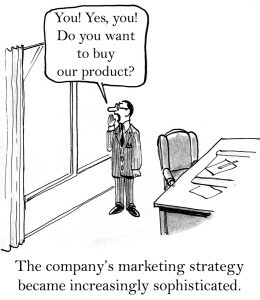 This first requires a basic understanding of a marketing staple: audience targeting. In this four-part series, we’ll guide you through content marketing techniques for audience targeting: segmenting your audience, creating personas and personalizing your content. One advertising message is rarely appropriate for everyone, nor is one type of content. Therefore, marketers divide the population into groups based on shared characteristics. This process is referred to as . Once target markets have been identified, custom tailored messages can be created for them with the objective of increasing the likelihood of conversion. Simply identifying a target audience, however, may only provide a superficial understanding of its needs and wants, so a form of market segmentation called a persona is often employed to delve deeper into the psyche of the consumer. Since segmentation yields more general information about the audience and personas more specific, it is typical to start with the former. The ultimate goal of investing the time to better understand your audience is to learn how your content can best serve them. For example, a gym owner may aim to increase membership sign-up and retention. Therefore, details about your audience’s lifestyle, such as whether or not they’re active, could be relevant to how you market your service; however, their software preferences may not be, unless you’re offering a fitness app. When you define what you hope to accomplish, you’ll have a better idea about which type of user information is actionable. For example, your call to action for signing up for a newsletter when users enter your website may address different needs than the one for purchasing a membership: users may only be seeking information about or evaluating your gym in the first case, while in the second they may be ready to join but just need a little more encouragement to complete the checkout process. Segmentation is the process of dividing your audience into groups based on similar characteristics. Common segments include demographic, geographic, and psychographic factors, as well as behavioral- and business-specific elements. Using the gym example again, you could start by segmenting your members based on their business-specific relationship to your service. Why do they come to your gym? Some might be there to lose weight, while others may be training for a sport, and others are there primarily to maintain a healthy lifestyle and socialize. Once you’ve determined why they’re using your facility, you can start identifying their needs and how to best meet them with your marketing message. For instance, members whose goal is to lose weight may need additional support and guidance with the process, such as staff assistance with diet planning and personal training, while members who come to socialize might be looking for classes where they can make new friends. Personas are archetypal figures in your target audience representing specific attributes, behaviors and needs. These are composite characters complete with names and profiles, which are derived from a combination of assumptions about your audience and data. The purpose of fictional personalities is to help you understand and empathize with a specific customer type. Using our gym example, we could create a hypothesis for the archetypal gym member who frequents classes, asking ourselves questions to try to understand his or her motivation. After brainstorming, we may create the following persona: Social Sara; age 35; an office worker who likes classes because they help her stay in shape, allow her to spend time with friends, and are just short enough to fit into her busy schedule. Our next step would be to use the data available to us to see if the facts align with our assumptions. If our hypothesis is correct, then we’ve constructed a fairly accurate representation of one group of customers in the form of a persona. When you have an in-depth understanding of your audience, you can start to map the consumer decision journey to better customize your content marketing to meet specific needs at the different stages of consumer search as they move closer to purchase/conversion. While consumers may be becoming increasingly used to a personalized online experience, the constant barrage of media messages could also overwhelm them. Finding a way to truly connect with your customers and give them the information they need, can help you stand out from the chatter of voices and clutter of images—giving you a competitive advantage. Come back for the next post in our audience targeting 4-part series for an in-depth look at what market segmentation is.